The JMHS Model UN is raising funds to attend the USC Model UN conference in March. Donations can be made by check made out to "John Marshall High School". Please put "Model UN club" in the memo. Checks can be given to Mr. Jones, or dropped off at the magnet office. The second Magnet parent education workshop will cover PSAT results and financial aid. Space is limited so reserve your spot using the link below. On November 12th students from Ms. Rhee and Ms. Cohen's AP European History classes visited the LA County Museum of Art. 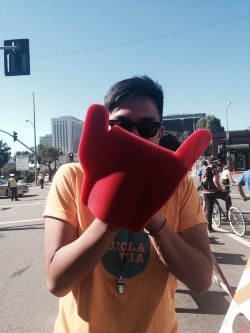 On Sunday October 6th over 30 Magnet students, parents, and teachers volunteered at CICLAVIA. 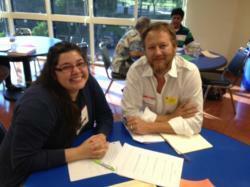 On Thursday Sept. 12 College Path LA hosted a personal-statement writing workshop in the teachers cafeteria. Over 40 students received help in developing their personal statements.